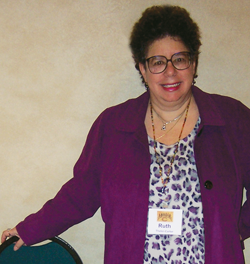 Communication Central began in 2006 as a partnership between Ruth E. Thaler-Carter and Katherine (Kat) Nagel, and offered its 13th annual “Be a Better Freelancer”® conference for current and aspiring freelance writers, editors, proofreaders and other editorial/publishing professionals in 2018 in Rochester, NY. For many years, the Communication Central conference was the only such event for freelancers in the publishing/editorial world, and it often still is. The conference focus is on launching and enhancing an editorial or communications business, for sole proprietors or owners with employees. Whether you need to jumpstart your marketing efforts, find (more and better-paying) clients, manage tools of the trade such as Microsoft Word or Adobe Acrobat, enhance your networking resources, expand your social media efforts, or buy new equipment, Communication Central programs can help you on your journey to a more-successful editorial business and career. Communication Central also offers writing, editing, proofreading and related services to clients, as well as half- and all-day workshops upon request. The first five Communication Central conferences were held in Rochester, NY; the sixth and seventh were in Baltimore, MD; and the conference returned to Rochester in 2013. The full conference brochure from the 2018 conference can be downloaded here. Plans are underway to partner with a professional organization for independent writers and editors for a 2019 conference on the East Coast — most likely in Philadelphia or Baltimore. Communication Central's logo and current website were designed by Victoria Brzustowicz of www.VictoriaBCreative.com. The previous website was designed by Glenn Court of www.formandsubstance.com. Ruth Thaler-Carter welcomes participants to recent conference. Communication Central owner and "Be a Better Freelancer"® conference host Ruth E. Thaler-Carter has been giving presentations and helping organize and run events for colleagues for many years. Versions of her “Getting Started as a Freelance Writer” program have been a hit with more than a dozen writers’, editors’ and communicators’ organizations, including the American Copy Editors Society, Editorial Freelancers Association, Association for Women in Communications, American Independent Writers, Maryland Writers Association, National Writers Union, Society for Technical Communication, Cat Writers Association, Society for Professional Journalists, International Association of Business Communicators (IABC) and more. Her “Communications Day” program for the Maryland Association of Nonprofit Organizations led to three years of programs for the Pratt Free Library system in Baltimore. Her newsletter seminar was a popular, income-generating program for the Society of National Association Publications (SNAP, now Association Media & Publishing) for several years in both Chicago and Washington, DC. Ruth has served on conference committees for SNAP/AM&P in Washington, DC; the EFA; IABC for events in Chicago, Kansas City, London, New Orleans, New York City and DC; and the Association of Independent Information Professionals. For more information, visit www.writerruth.com.